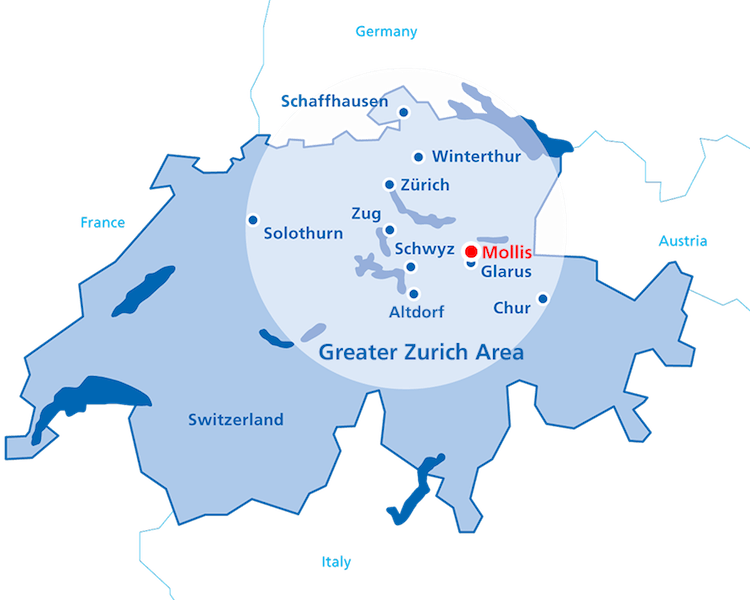 … Mollis had a population (as of 2010) of 3,337. It lies at an elevation of 433 m (1,421 ft) — not very high, but it’s surrounded, as you can see, by high mountains. 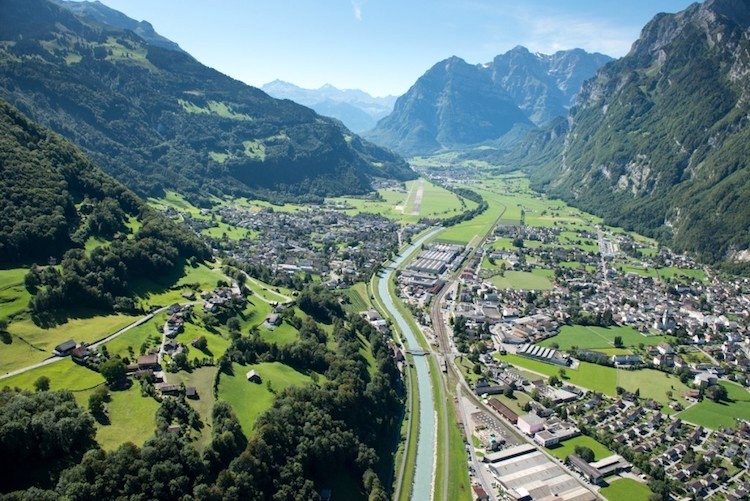 Last April the Swiss center of excellence for helicopters was founded by the Glarus location development authority together with the heads of the Swiss Aerospace Cluster, as well as Marenco Swisshelicopter AG, Europoles Suisse GmbH and the municipality of Glarus Nord. The former Mollis airfield in the canton of Glarus is to become an international hub for the construction and operation of helicopters. The Mollis helicopter center of excellence will be part of the existing Swiss Aerospace Cluster industry association. Switzerland is traditionally home to many helicopter companies as a result of its mountainous terrain [and a Swiss tradition of engineering excellence]. The country’s helicopter sector consequently boasts exceptional expertise and is internationally renowned. However the helicopter industry still faces major challenges due to constantly changing regulations, high production costs in Switzerland and other issues that are in need of improvement. Helicopter companies are now seeking to strengthen the industry as a whole through promoting a united public image and exchange within the helicopter center of excellence. They aim to organize cooperations for sales promotion and support for product development. Thanks to this specialist group, Swiss helicopter expertise will be bundled, enhanced and positioned on the international stage. The SKYe SH09 produced by Marenco already provides a good example of Switzerland’s excellence in the helicopter sector. The first Swiss-made helicopter will be manufactured in Mollis GL. The SKYe is a 2.5-ton lightweight multipurpose helicopter and is among the most modern in the world. 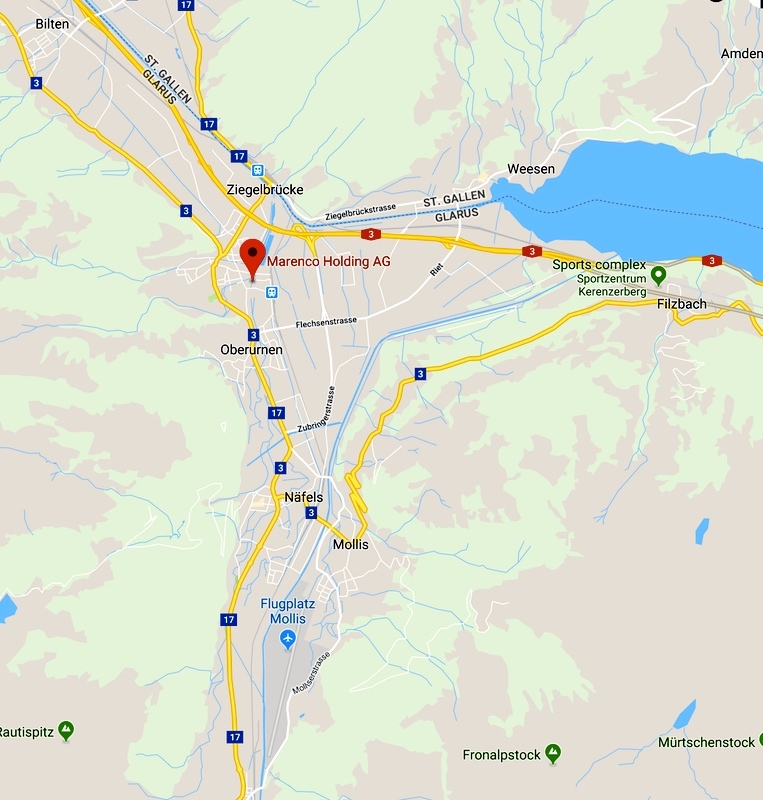 We are convinced that the specialist group’s efforts will continue to make the Glarus Nord location more attractive and that new companies will move here to be part of this innovative environment. Village quaintness plus Swiss-whiz engineering. This entry was posted on January 16, 2019 at 5:38 pm and is filed under Switzerland and Swiss things, Zwickys. You can follow any responses to this entry through the RSS 2.0 feed. You can leave a response, or trackback from your own site.